In “American Pie 2,” Seal Beach is portrayed as Grand Harbor, Michigan. Both the town and pier are seen frequently in the movie. In one scene, where the boys cruise down the main street, you can see such local landmarks as O’Malley’s Irish Pub, Walt’s Wharf Restaurant, and the pier. <*}}}}}}}}}>< — In an interesting discussion one day on the Orange County Register message board (in response to an article on anglers catching thresher sharks from the Huntington Beach Pier), the following item was posted by Monta Erikson: “My grandfather caught sharks off Seal Beach Pier—1943-era. Food rationing during WWII—this helped feed his extended families working in the defense plants. Shovelnose most frequently.” So, the catchin’ and eatin’ of sharks is not a new story. <*}}}}}}}}}>< — Fish Bulletin #96 put out by the California Department of Fish Game in 1953 states: “There is a sport-fishing pier but no fish-cleaning sheds or canneries. Small amounts of commercially caught fish are landed here but the average has been about two tons per year… The catches have been barracuda, lobster, rockfish, and rock bass… In 1952 three party boats and one or two charter boats operated out of Seal Beach. One Sportfishing barge is anchored off the town. <*}}}}}}}}}>< — 2012 saw a new danger arise to the fishing on the pier—local anglers asking that fishing be restricted. As usual, it was because anglers appeared to be making too much of a mess on the pier. However, nowhere in the story does it mention that the pier was restored in part with money from the Wildlife Conservation Board or that an agreement was made at the time to keep it open as a public fishing pier. 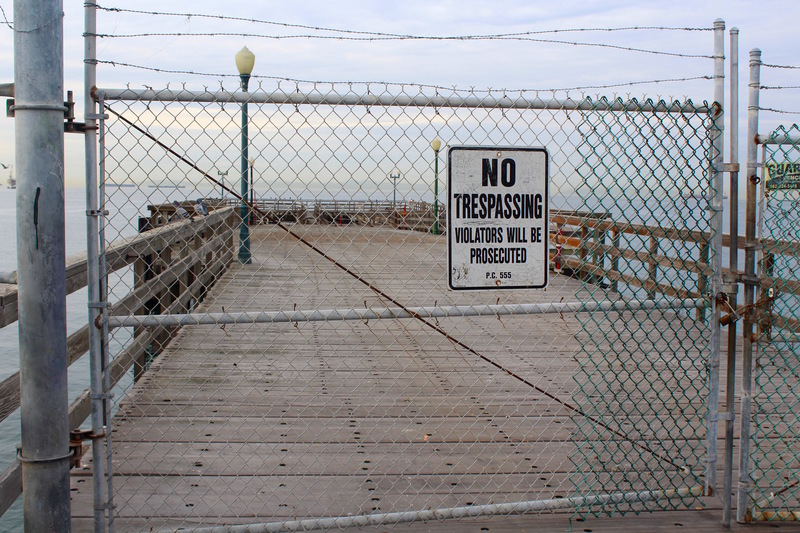 Should Seal Beach Restrict Fishing on the Pier? 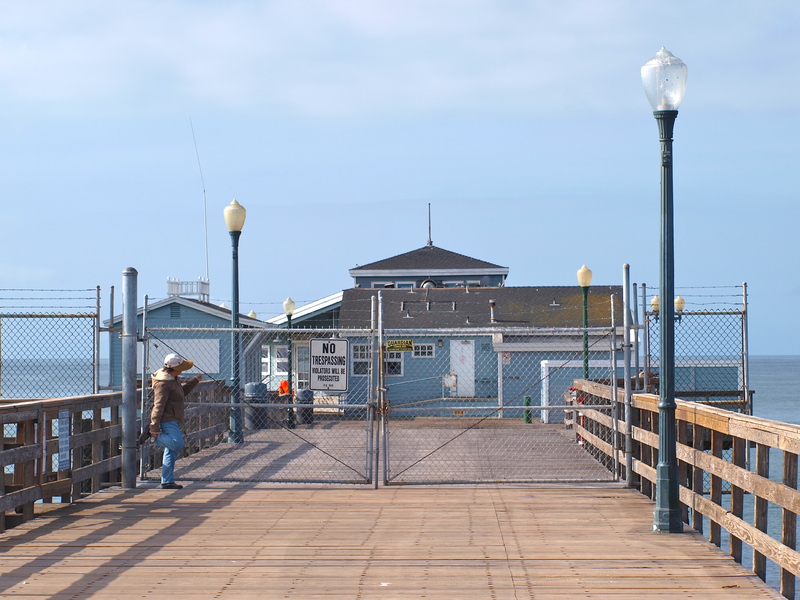 Fishermen have been casting their lines off the Seal Beach Pier for the better part of a century, but on Tuesday a city official said she wants the city to consider curtailing the practice to keep the landmark clean. In a brief interview with Patch after the meeting, Deaton said, “I don’t want to end fishing out there. I want all of us to be able to enjoy the pier.” Visitors “should be able to use a bench to sit down on and not have to sit on fish guts,” Deaton added during a later interview. City Manager Jill Ingram said that if the item were added to a future agenda, it probably wouldn’t be discussed until 2013. 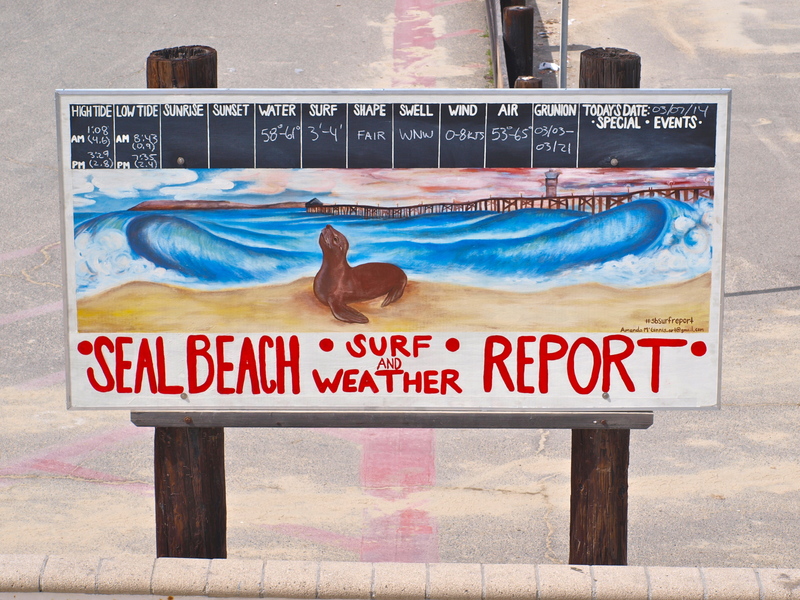 Seal Beach resident Laura Ellsworth, chair of the Seal Beach Pier bench renovation project, agrees with Deaton. Ellsworth is concerned that fishermen would continue to use the wood on the benches as cutting boards, damaging the work that volunteers recently fixed. “As we are restoring, we are finding fish guts all over the wood and the backrest,” Ellsworth said. Here is the text of the city code regarding fishing in the city. Each person fishing from the city beach or city pier shall have due regard for the safety of persons on the beach or in the water. No person fishing from the city pier shall cast the line overhead or across the deck of the pier. 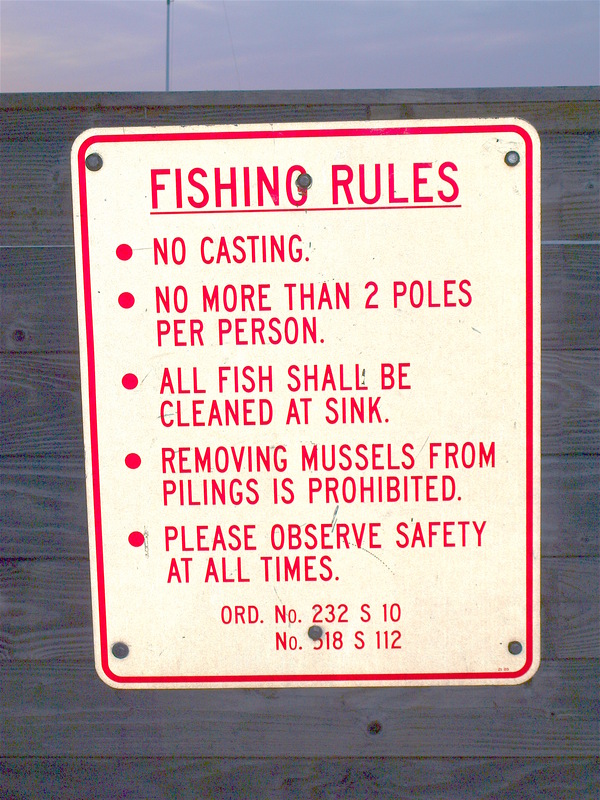 No person shall use or possess more than 2 fishing poles on the city pier for the purpose of fishing from the pier. No person shall use or possess a bow and arrow, crossbow and arrow or similar device for the purpose of fishing from the city beach, city pier or other city property. Also according to Code 9.05.010 C, city lifeguards have the power to restrict or prohibit fishing on the city beach. <*}}}}}}}}}>< —Tis unbelievably sad! 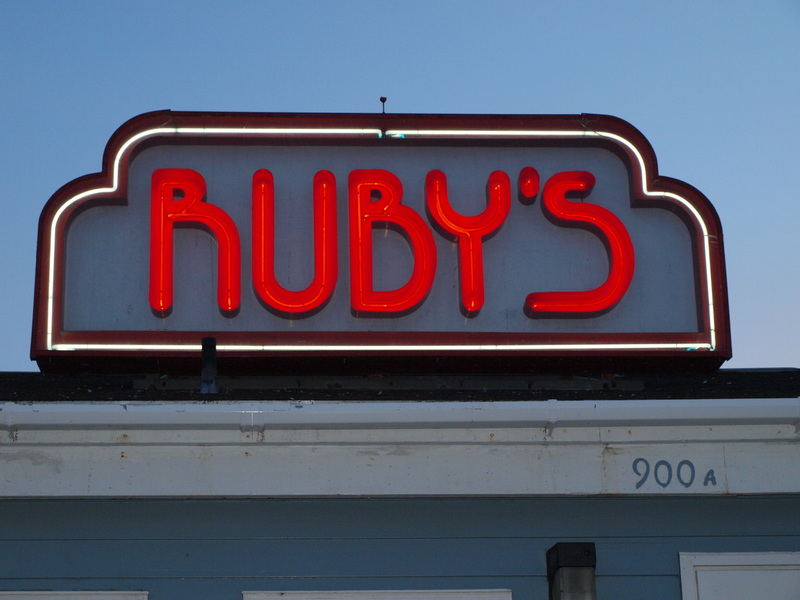 For years Ruby’s Diner set out at the end of the pier offering up good food and drinks for tourists, locals, and the anglers on the pier. Then needed repairs and disputes with the city led to the restaurant’s closure. Soon the end was fenced off and the city began years of unsuccessful attempts to find a new restaurant. Everyone had different people to bame but the bottom line is that the end still sits empty and anglers still cannot use the end section of the pier. Doesn’t say much for the city. History Note. 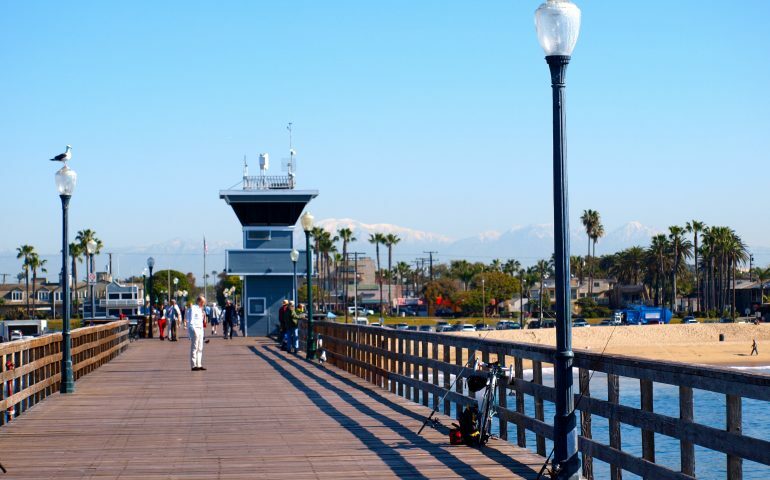 Like many, if not most, of the coastal cities in Orange County and Los Angeles County, Seal Beach experienced much of its growth as a result of the efforts of local real estate developers, in this case Philip A. Stanton and his Bayside Land Company. Stanton, who had been an early promoter of the nearby Huntington Beach area before selling his share of that land, took a sleepy little burg called Bay City and developed it into one of the leading resort centers in the area. Prior to Stanton’s entrance into the scene the immediate area had little population even though it had long been a favorite spot for summertime vacations. German Burghers who had settled Anaheim (“Ana” for the Santa Ana River and the German “heim” meaning home) had developed Anaheim Landing in the nearby bay in the 1860s as a port from which to ship out their produce. They also discovered that the local beaches made a great spot to escape the hotter climate of their inland city—even though only a dozen or so miles away. However, year-round settlement was limited. 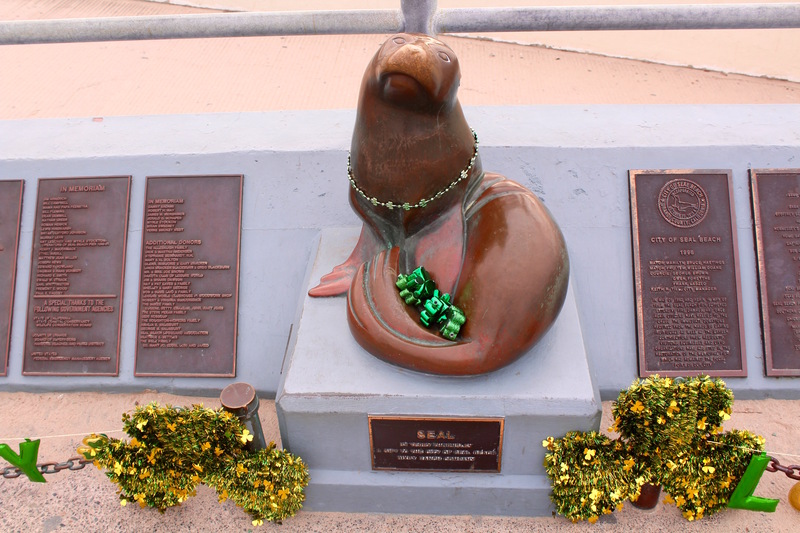 In fact, J.C. Ord, considered one of the fathers of Seal Beach, was the lone resident in 1901. Bay City grew at a slow rate in the early 1900s but began to grow more rapidly after the Pacific Electric Railway entered the town in 1904. Easier access in and out of the area provided impetus for the development of hotels, bathhouses and dance halls. It also gave purpose for the development of a pier (since every beachside resort needed a pier). In 1906 the original Seal Beach Pier (Bay City Pier?) was built; at 1,865 feet it was (at the time) the longest pier south of San Francisco. Although Stanton had hoped his town would become the “The Coney Island of the Pacific,” and the “playground of Southern California,” (sentiments echoed by many developers of the day, i.e., those in Long Beach and the Redondo Beach-Santa Monica corridor) it would take nearly a decade for his dream to reach fruition. Real growth and true development as a resort center would not take place until 1915-16 after the city incorporated (as Seal Beach). A new figure now entered the mix. Frank Burt, manager of the concessions at the 1915 Panama Pacific Exposition in San Francisco, moved south following the closing of the Exposition and helped found the Jewel City Amusement Company. With Stanton’s cooperation, a new pier was built to replace the original pier. The new pier became the center of the “Jewel City” amusement area. The Jewel Cafe to the north, and a Bathhouse and Dance Pavilion to the south, flanked the pier at its shore side end. 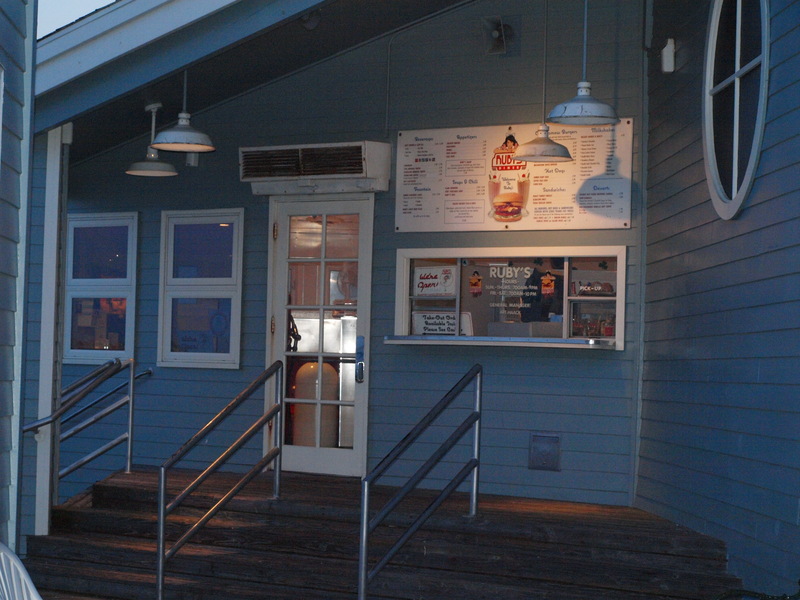 According to reports the cafe’s opening night saw a “banquet from the sea” for 500 people. Dishes included albacore, barracuda, clam chowder and oyster cocktails. The huge Bathhouse contained 1,000 dressing rooms that opened directly onto the beach; their motto was “A beach without an undertow.” To the south of the pier set the Derby, the racer roller coaster brought down from San Francisco. A final touch was added by the addition of the “Scintillator” lights, also brought down from San Francisco, fifty-two huge lamps which projected changing rainbows of light onto the water for nighttime bathing.